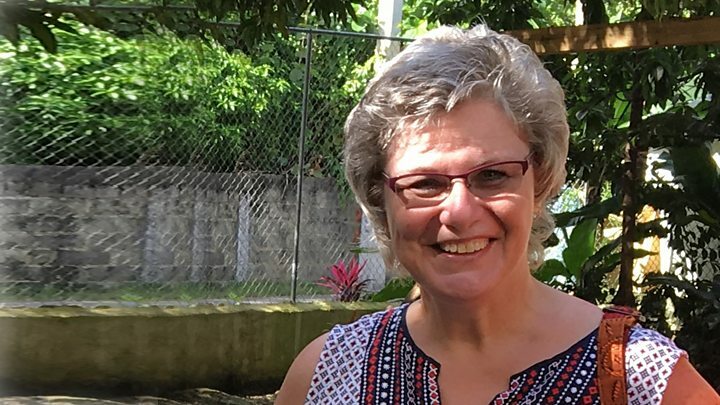 Canadian Donna Penner was relaxed at the prospect of abdominal surgery - until she woke up just before the surgeon made his first incision. She describes how she survived the excruciating pain of being operated on while awake. 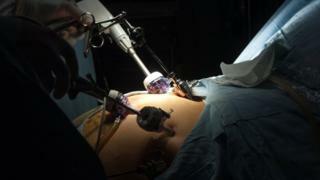 In 2008, I was booked in for an exploratory laparoscopy at a hospital in my home province of Manitoba in Canada. I was 44 and I had been experiencing heavy bleeding during my periods. I'd had a general anaesthetic before and I knew I was supposed to have one for this procedure. I'd never had a problem with them, but when we got to the hospital I found myself feeling quite anxious. During a laparoscopy, the surgeon makes incisions into your abdomen through which they will push instruments so they can take a look around. You have three or four small incisions instead of one big one. The operation started off well. They moved me on to the operating table and started to do all the normal things that they do - hooking me up to all the monitors and prepping me. The anaesthesiologist gave me something in an intravenous drip and then he put a mask on my face and said, "Take a deep breath." So I did, and drifted off to sleep like I was supposed to. When I woke up I could still hear the sounds in the operating room. I could hear the staff banging and clanging and the machines going - the monitors and that kind of thing. I thought, "Oh good, it's over, it's done." I was lying there feeling a little medicated, but at the same time I was also alert and enjoying that lazy feeling of waking up and feeling completely relaxed. That changed a few seconds later when I heard the surgeon speak. They were moving around and doing their things and then all of a sudden I heard him say, "Scalpel please." I just froze. I thought, "What did I just hear?" There was nothing I could do. I had been given a paralytic, which is a common thing they do when work on the abdomen because it relaxes the abdominal muscles so they don't resist as much when you're cutting through them. Unfortunately the general anaesthetic hadn't worked, but the paralytic had. I panicked. I thought this cannot be happening. So I waited for a few seconds, but then I felt him make the first incision. I don't have words to describe the pain - it was horrific. I could not open my eyes. The first thing that I tried to do was to sit up, but I couldn't move. It felt like somebody was sitting on me, weighing me down. I wanted to say something, I wanted to move, but I couldn't. I was so paralysed I couldn't even make the tears to cry. At that point, I could hear my heart-rate on the monitor. It kept going up higher and higher. I was in a state of sheer terror. I could hear them working on me, I could hear them talking. I felt the surgeon make those incisions and push those instruments through my abdomen. I felt him moving my organs around as he explored. I heard him say things like, "Look at her appendix, it's really nice and pink, colon looks good, ovary looks good." I managed to twitch my foot three times to show I was awake. But each time, someone put their hand on it to still it, without verbally acknowledging I had moved. The operation lasted for about an hour-and-a-half. To top it all off, because I was paralysed, they had intubated me - put me on a breathing machine - and set the ventilator to breathe seven times a minute. Even though my heart rate was up at 148 beats per minute, that's all I got - those seven breaths a minute. I was suffocating. It felt as though my lungs were on fire. There was a point when I thought they had finished operating and they were starting to do their final things. That's when I noticed I was able to move my tongue. I realised that the paralytic was wearing off. I thought, "I'm going to play with the breathing tube that's still in my throat." So I started wiggling it with my tongue to get their attention. And it worked. I did catch the attention of the anaesthesiologist. But I guess he must have thought I was coming out of the paralytic more than I was because he took the tube and pulled it out of my throat. I lay there thinking, "Now I'm really in trouble." I'd already said mental goodbyes to my family because I didn't think I was going to pull through. Now I couldn't breathe. I could hear the nurse yelling at me. She was on one side saying, "Breathe Donna, breathe." But there was nothing I could do. As she was continuously telling me to breathe, the most amazing thing happened. I had an out-of-body experience and left my body. I'm of Christian faith and I can't say I went to heaven, but I wasn't on Earth either. I knew I was somewhere else. It was quiet. The sounds of the operating room were in the background, I could still hear them. But it sounded as though they were very, very far away. The fear was gone, the pain was gone. I felt warm, I felt comforted and I felt safe. And instinctively I knew I was not alone. There was a presence with me. I always say that was God with me because there was absolutely no doubt in my mind that he was there beside me. And then I heard a voice saying, "Whatever happens, you're going to be OK."
At that point I knew that if I lived or died, it would be just fine. I had been praying throughout the whole thing to keep my mind occupied, singing to myself and thinking of my husband and my children. But when this presence was with me, I thought, "Please let me die because I can't do this any more." But just as quickly as I went there, I was back. In the time it takes to snap your fingers I was back in my body in the operating room again. I could still hear them working on me and the nurses yelling, "Breathe Donna." All of a sudden the anaesthesiologist said, "Bag her!" They put a mask on my face and used a manual resuscitator to force air into my lungs. As soon as they did, the burning sensation I'd had in my lungs left. It was huge relief. I started to breathe again. At that point, the anaesthesiologist gave me something to counteract the paralytic. It didn't take long before I was able to start talking. Later, as I recovered from the ordeal, the surgeon came into my room, grabbed my hand with both of his and said, "I understand there were some problems, Mrs Penner." I said to him, "I was awake, I felt you cutting me." His eyes filled with tears as he grabbed on to my hands and said, "I am so sorry." I started telling him the different things that I had heard him say - the comments he had made about my appendix and my internal organs. He kept saying, "Yes I said that, I said that." I said, "Have you noticed that I have not asked you what the diagnosis was?'" And he looked at me for a moment and said, "You already know, don't you?" And I said, "Yes I do," and I told him what my diagnosis was. It's now nine years since I woke up during surgery. I have since pursued a legal claim against the hospital which was resolved. Immediately after the operation I was referred to a therapist because I was so traumatised. I didn't even have a clue what day of the week it was on my first appointment. I was pretty messed up. It definitely takes its toll on a person. But talking about it has helped. After time, I was able to tell my story. I have done a lot of research into anaesthesia awareness. I contacted the University of Manitoba's anaesthesiology department and have spoken to the residents a couple of times now. They are usually horrified by my story. There are usually quite a few who have tears in their eyes when I'm speaking to them. My story is not to lay blame or to point fingers. I want people to understand that this thing can happen and does happen. I want to raise awareness, and help something good come out of this awful experience.